A mechanism on the knee joint locks the Free Walk during the stance phase. The joint is unlocked in the swing phase while walking. Therefore, you can bend your knee and swing your leg freely. In case of complete or incomplete leg paralysis – and if you are able to swing the leg forward using the hip or abdominal musculature – this allows you to walk with a virtually natural gait in addition to improving safety and stability. The Free Walk features a very slim design. At the same time, the robust steel structure is extremely reliable. 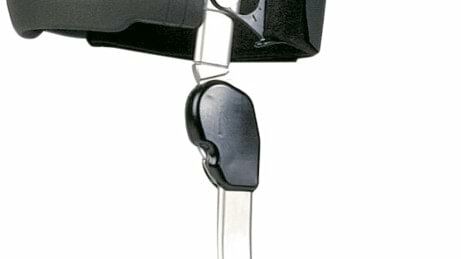 The ankle joint is connected to the knee joint by a cable, thereby enabling a more natural gait. By securing the leg in the stance phase and unlocking the knee joint in the swing phase, the connection with the knee joint enables a harmonious and virtually physiological gait pattern for the user. The enclosed knee joint design provides secure protection against external impacts. Clothing cannot get caught either. The quick-release closures make it easy to put on and take off the orthosis. The Free Walk enables a virtually natural gait. Compensating movements required with conventional orthoses are no longer necessary, relieving strain on your joints and back. You require less energy for walking and are able to travel longer distances. Your orthosis has to support you in many everyday situations. You can sit comfortably with the Free Walk. Depending on your physical abilities, you can unlock the orthosis dynamically with a body movement or by hand. Sit down, slide the foot component of the Free Walk orthosis into the shoe and then just put your foot in the shoe. Then place the orthosis on your leg. The Free Walk features practical quick-release closures which allow for easy fastening of the orthosis. Your orthopaedic technician fabricates the Free Walk orthosis according to your individual measurements. The soft padding made of skin-friendly material feels comfortable all day. You can clean it with warm water and soap. The Free Walk is lightweight with a slim design. You can wear it under normal clothing. It is inconspicuous and virtually invisible to others. 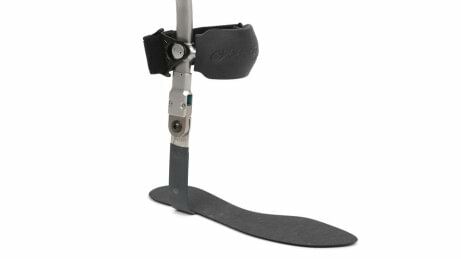 The Free Walk orthosis is controlled by a connection between the orthotic knee joint, the orthotic ankle joint and the insole that guides your foot. Integrated into your natural gait cycle, the lock in the orthotic knee joint disengages and you can freely swing the leg through. 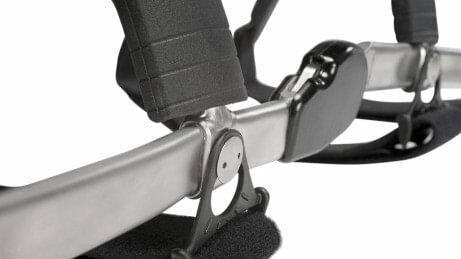 The orthotic knee joint locks automatically when you swing your leg through again before stepping down. You maintain control over your orthosis and use it consciously. As an option for anyone who sometimes tires more quickly due to their physical condition, a switch has been developed that allows you to permanently unlock or lock your joint aside from the Free Walk function (locked stance phase, unlocked swing phase). 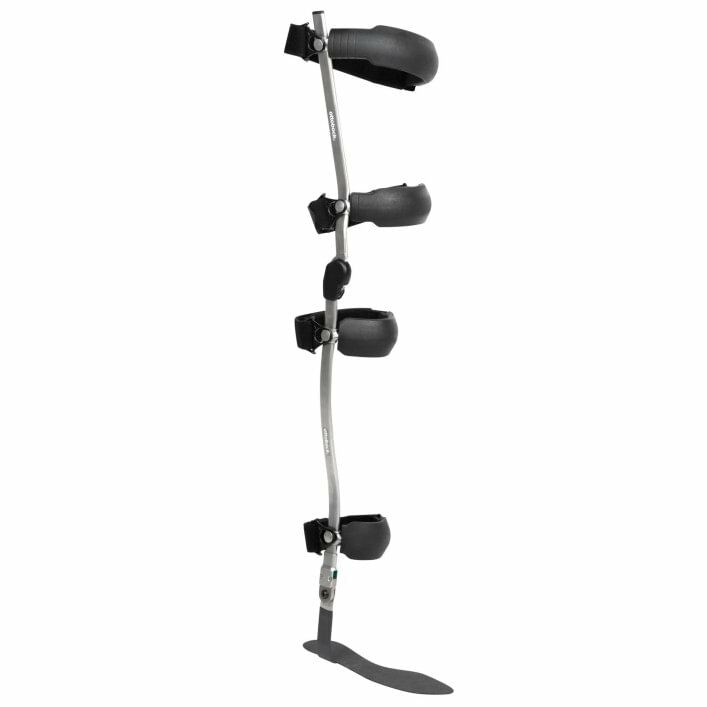 This allows you to use the Free Walk orthosis entirely according to your personal requirements and condition. You can only reap the full benefits from a high-quality modern fitting if you are trained in the use of the product. You will take your first steps with the Free Walk during a fitting session with your technician. He or she will explain the functionality and handling during daily use in detail. Then you together with your technician or a physiotherapist/occupational therapist practice walking in a variety of situations, for example on slopes or stairs. Your technician will prepare an individual training programme for you. It is important for you to train the correct movement patterns in order to avoid developing malpositions. You will also work together to practice sitting down and standing up, as well as putting on the orthosis and taking it off.